Sometimes, the hustle and bustle of a busy life can get overwhelming. Being constantly attached to our phones, our emails, and our social media can leave us feeling stressed and burdened – making us yearn for a break from the screens and sidewalks. 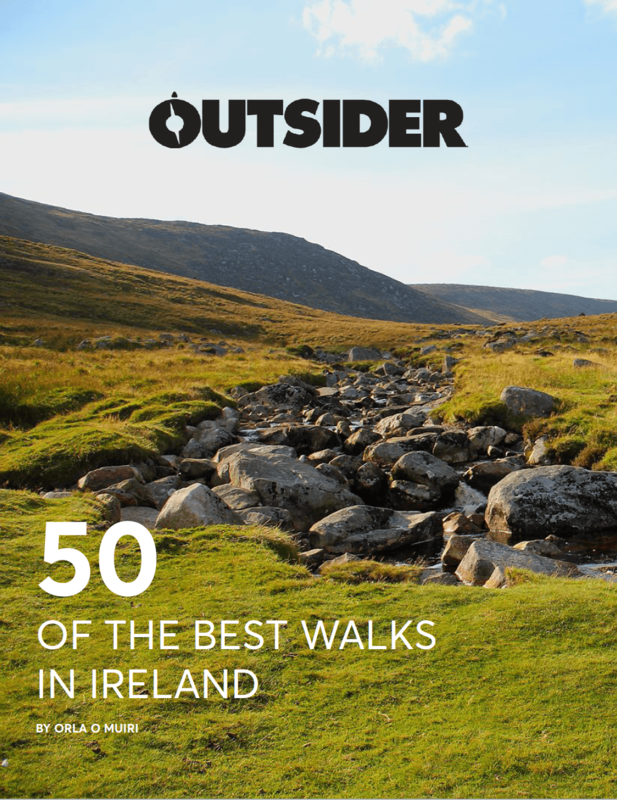 Ireland is home to some of the most stunning scenery that this world has to offer, and, if you’re looking for a complete getaway from society, some of the most beautiful places that are far off the beaten track. Here are 5 of the most remote places in Ireland that are sure to make you unplug, relax, and enjoy nature. Glenlough Bay in Co Donegal is one of the most breathtakingly stunning beaches and is considered to be one of the most remote locations on mainland Ireland. The Bay resides three kilometres north of An Port at the end of a twisting 20km single-track road – taking you far away from civilization. The Bay itself is a collection of marvellous sea cliffs reaching 250m in height, and incredible sea stacks that attract climbers from all over the country. This is one of the largest shingle storm beaches in Ireland, which means that it is mostly composed of rocks, pebbles, and shingles due to the ferocity of the storms and waves that hit the beach. During a large wave or a fierce storm, the roar of the rocks and shingles being thrown on the beach can be deafening, even from atop the steep cliffs! For all of you climbers out there – this one’s for you. 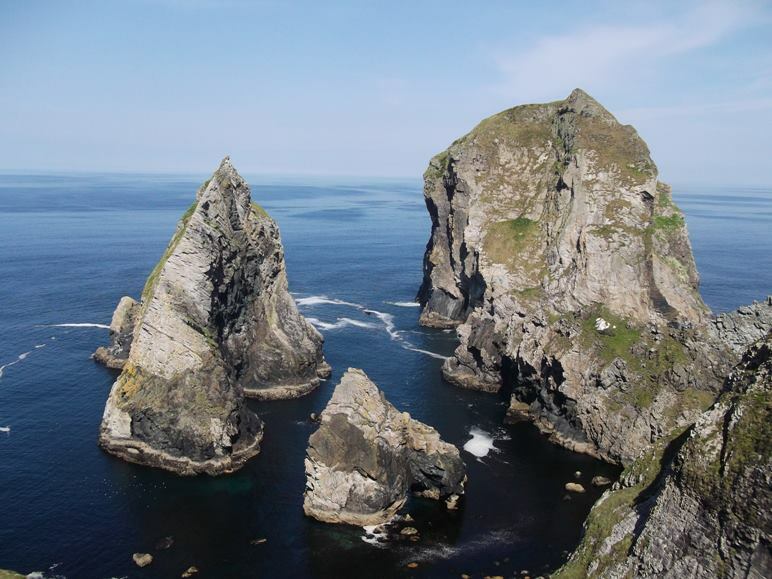 Cnoc na Mara (Hill of the Sea) is an iconic 100m shark fin sea stack residing in the shadow of Ireland’s highest sea stack, Tormore Island. For experienced climbers, the Cnoc na Mara can prove to be one of the most rewarding and adventurous climbs in the country. Along with the effort of climbing this rock comes the effort of actually getting to this extremely remote location. First, one has to drive the single-landed highway from Ardara to An Port. Then, on foot, walk to the viewpoint overlooking Glenlough Bay and descend the extremely steep grass slope until you reach the entrance to Shambala storm beach. From the beach, it is then a 125-meter sea passage to the base of the stack. For more information on the proper approach to the stack, visit Unique Ascent. Ballycroy National Park is one of Ireland’s largest parks, preserving 11,000 hectares of gorgeous countryside filled with shimmering lakes, towering mountains, and lush bogland. This national park, located in Co Mayo, will take you far away from the stresses of city life, bringing you back to the peace and serenity of nature. Within this park lies what is known as Ireland’s most remote mountain, Slieve Carr. 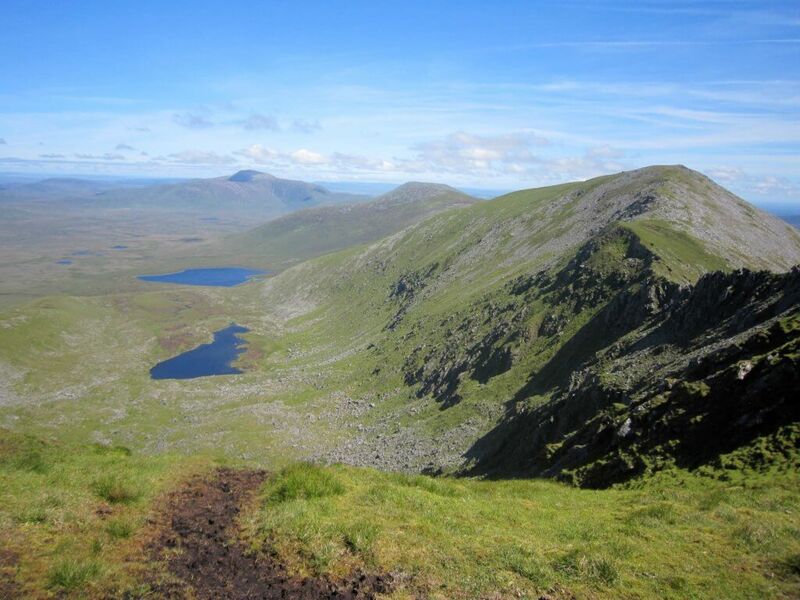 Slieve Carr, situated in the northern heart of the massive park, is a 721m mountain that provides a steep, tough ascent from the beautiful Scardaun Loughs at the base. At the summit, there is an ancient burial cairn known as Laghtdauhybaun, from Leacht Dáithí Bháin, burial monument of white Dáithí, which is believed to refer to an ancient king of Connachtin that ruled in the 5th century. 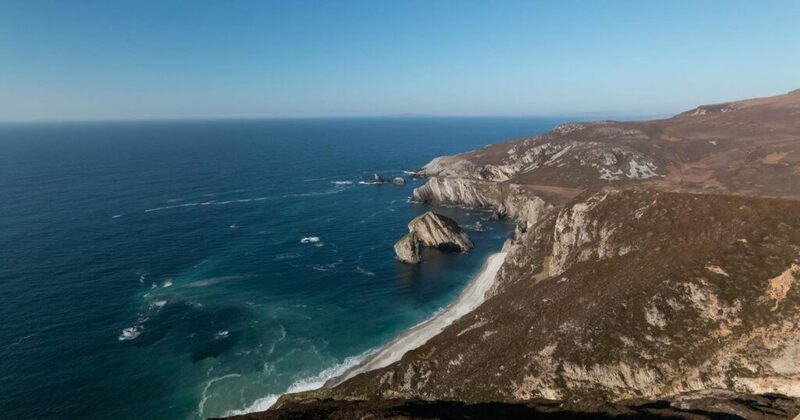 The mountain gives incredible 360-degree views of Blacksod Bay, Achill, and stunning lakes below. Situated off the coast of Galway, this uninhabited island boats remarkable views of the stunning Atlantic and is steeped in ancient history. The island was inhabited for thousands of years up until the 1960s when residents were forced to evacuate due to the island’s inaccessibility. The island is filled with ancient burial sites, ruins of churches, and abandoned monuments dating back thousands of years. If you’re a history buff looking to spend some time outdoors, this is your spot! The Black Valley in Co Kerry is sprawling with natural vistas and a gorgeous landscape unspoilt by civilization. 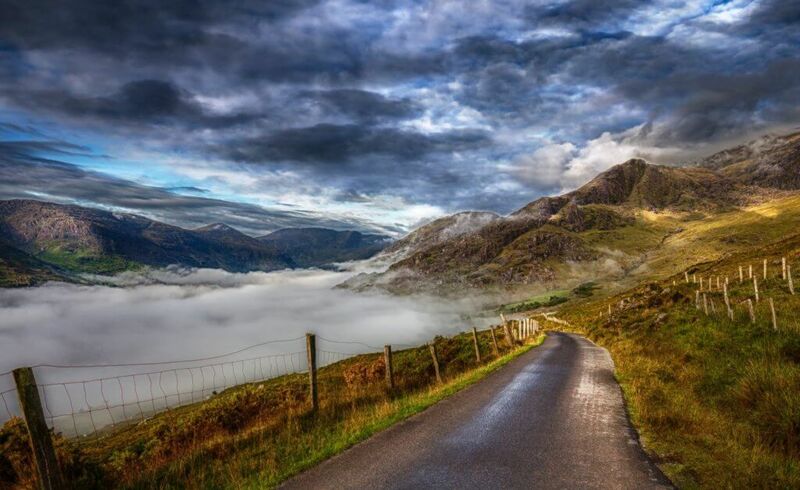 Lying just south of The Gap of Dunloe, The Black Valley is a hiker’s paradise. 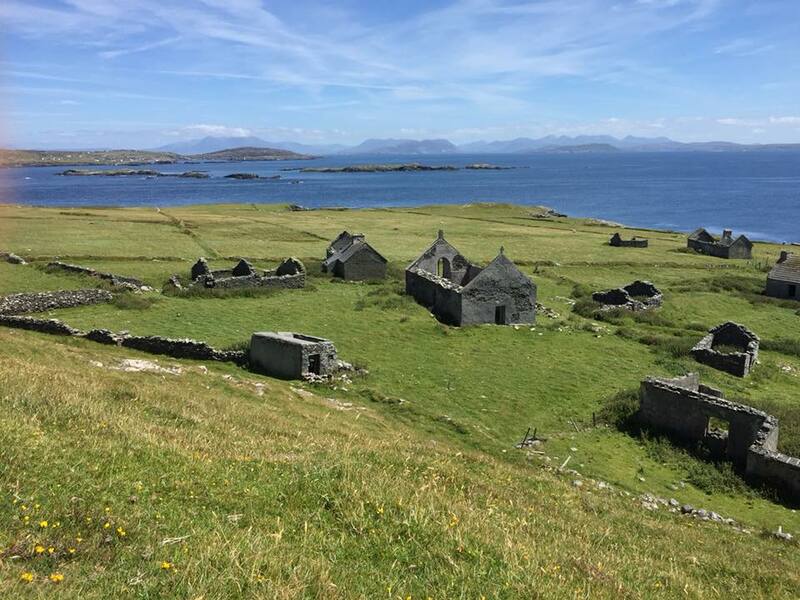 It is famous for being the very last place in Ireland to even be connected to electricity and telephone lines due to its remoteness, and, because of such, cell phone reception in the area should not be relied upon. In this valley, you can drive for miles and hike for hours without seeing civilization. During the spring, the valley is covered in bog cotton and yellow irises. Surreal red and purple heather line the fields, and flowing streams and glass-like lakes blanket the woodlands.